This is the wiki for Star Crusade, a Fading Suns MU set on the rediscovered world of Yathrib - the planet where the Prophet received his vision of the Holy Flame. Now beset by heathens, it is a center of conflict and intrigue at the dawn of the sixth millennium. Imperial Survey: Yathrib -- An overview of the people and places of the Prophet's world. Towns and Baronies -- Other places in the Shining Gulf. The Shining Gulf - Detailed -- A larger map of the shining gulf, with greater detail. Interesting Places -- Other locations in Yathrib of note and interest. Bestiary -- Creatures great and small found on Yathrib. Jumpweb -- A map of the Known Worlds and beyond. The Crusader State -- The Known Worlders' central state on Yathrib. Seven Seigneuries -- The most important vassals of the Lord of Akko. Politics of the Crusader State -- The major political factions in the Curia. Powers of State and Curia -- The powers of the officers of state and the Curia. The Myth of Unity -- Noble sovereignty and vassalage do not modern nations make. Voting Blocs -- Voting blocs in the Curia. Religion and the Church - Overview of the Church as a whole. Religious Basics -- The underpinnings of the Universalist Faith. Omega Gospel Passages -- Select passages from the Omega Gospels. Faithful and Bold: House De Moley - A local house now extinct in the Known Worlds that clings tenuously to its existence. The Church on Yathrib - The church of Yathrib's structure and form. Law and Order in Akko -- The city of Akko and how law and order are maintained within it. 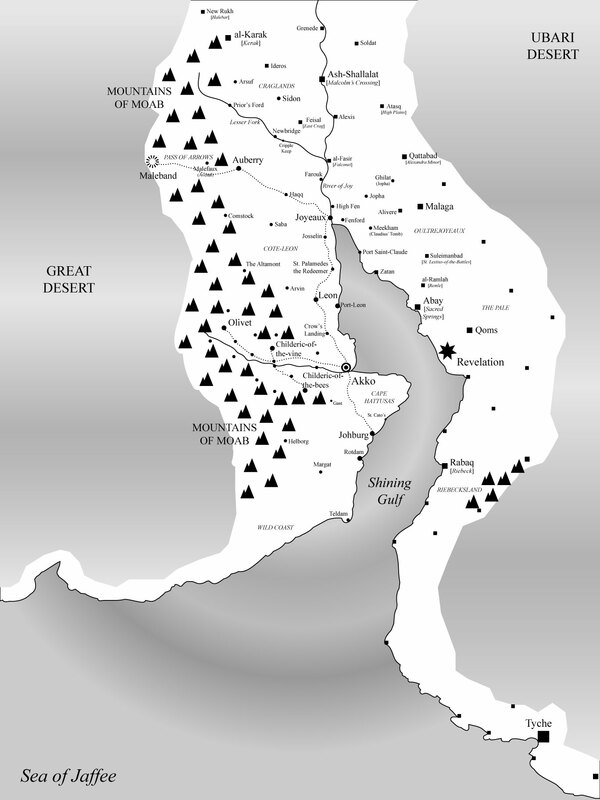 Tribes of Asher -- The clans of the deserts and mountains. Refugees from Revelation -- The inhabitants of the refugee camps. Ukari on Yathrib -- The history of the Ur-Ukar on the holy world. NPCs of Note -- noted men and women of Yathrib. Introduction PDF -- While the system has changed, this has a broad introduction to the world. Houses, Sects and Guilds -- A brief guide to the main factions in the Known Worlds. Fashion -- The Fashion of the Crusader State and noble houses. Timeline of Yathrib - a timeline of events on Yathrib. Themes and Dramas -- The story so far on Star Crusade, with hints of what is to come. Warfare in the Known Worlds -- How war is fought in the sixth millennium. Just War -- The ethics of conducting war. What Is An Armsman? -- The traditional House soldier. The Witchery of Psi - Witches are bad. Society and the Occult - Witches are still bad. What Do Traits and Goals Mean? Economy Challenges -- The beginning of the economy system. Campaign Worksheet -- The Fall 5001 campaign. This page was last modified on 24 June 2013, at 19:13.